We have over 20,000 books in our adult, and children’s departments: Mystery, romance, Christian fiction, adventure, western, biographies, self-help, natural sciences, and much, much more! We also offer a large selection of large print books. You may check on the availability of any of our books at the Evergreen website. Click on the picture to open a new tab. *We check out books for 3 weeks, and may be renewed twice unless it is on hold for another patron. We have an extensive movie selection that continues to grow. Our DVD collection offers more than 3500 items, including new releases, television series, and documentaries. *We check out DVDs and television series for 1 week, with a limit of 10 items per household. Our music CDs are an eclectic collection that covers many genres and decades for you to enjoy. Want a great way to pass the time while driving? Try audio books instead of the s ame old songs on the radio. 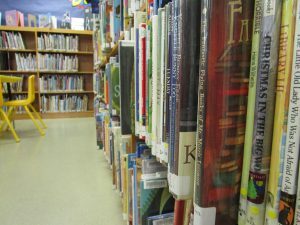 Choose from over 400 adult, young adult, and children’s titles. *We check out CDs and audio books for 3 weeks at a time and can be renewed once. 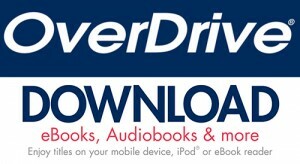 We also offer access to a large digital catalog of downloadable e-books and audiobooks through OverDrive. Click on the picture to open a new tab. We subscribe to over 75 magazines and newspapers from across the nation, as well as local papers. *We check out magazines for 1 week and can be re newed once. Our extensive non-fiction collection is also available in the adult and children’s sections. 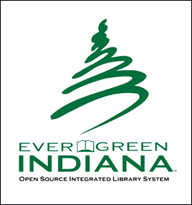 We also support Inspire by the Indiana State Library for digital research. Click on the picture to open a new tab. Our library offers filtered internet access. Computers are available in 1 hour intervals on a first come first serve basis, or you can call ahead and have a computer reserved for you for a specific time. *Due to high demand, any gaming time is restricted to 30 minute intervals, once a day. Wi-Fi access is also available. This access is free, but we may limit the number of users. Are you unable to come to the library? Can’t get away from home? Maybe you have difficulty coming into the library? We will deliver your items right to your home (within city limits) at no charge. We will also bring your items right to your car so you don’t have to come inside. Just call us, or email us at oxfordlibrary@sbcglobal.net. Adults are limited to a total of 10 pieces of library material from our library at any given time. Children are limited to 5 pieces at one time.